Lynda, the owner, started working for Rudi at 14 and 40 years later is still full of passion. Lisa has more than 20 years of experience, superb attention to detail and wonderful customer care. 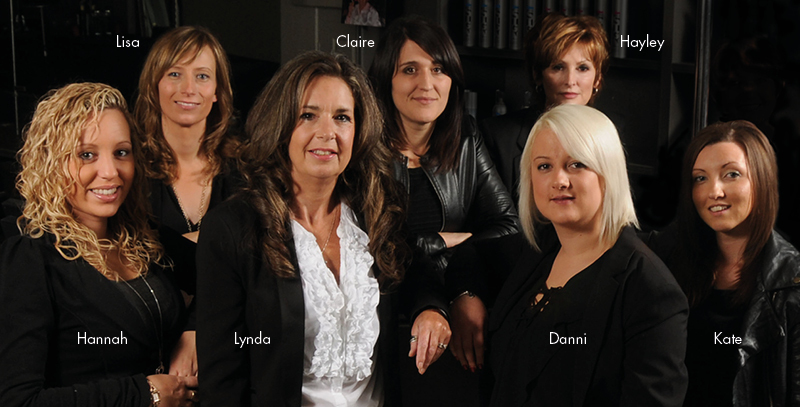 Claire has also worked with us for over 13 years and is a very experienced hair cutter & colourist. Hannah has worked with us for over 13 years, is multi-talented and a hair extension specialist. Kate has been with us for over 15 years and is an expert in hair-up, plaiting & bridal/themed hairstyles. Danni has been with us for over 10 years and loves styling students’ hair with care and enthusiasm.